Ace Spring Round Up Going On Now! – Ace Hardware Corp. Ace Spring Round Up Going On Now! Ace Hardware’s annual Spring Round Up campaign is underway and runs all month. At participating Ace Hardware locations you can donate to your local Children’s Miracle Network Hospital when you round up your purchase. All the funds raised in this campaign directly benefit the Children’s Miracle Network Hospital in your area. Donations made through Round Up help kids like brothers Kapono and Duke, who are serving as this year’s All-Stars. Both brothers share a type of blood condition that prevents their blood from clotting as quickly as other people. Thanks to the care given at Kapiolani Medical Center for Women & Children in Hawaii, the boys lead normal and healthy lives. 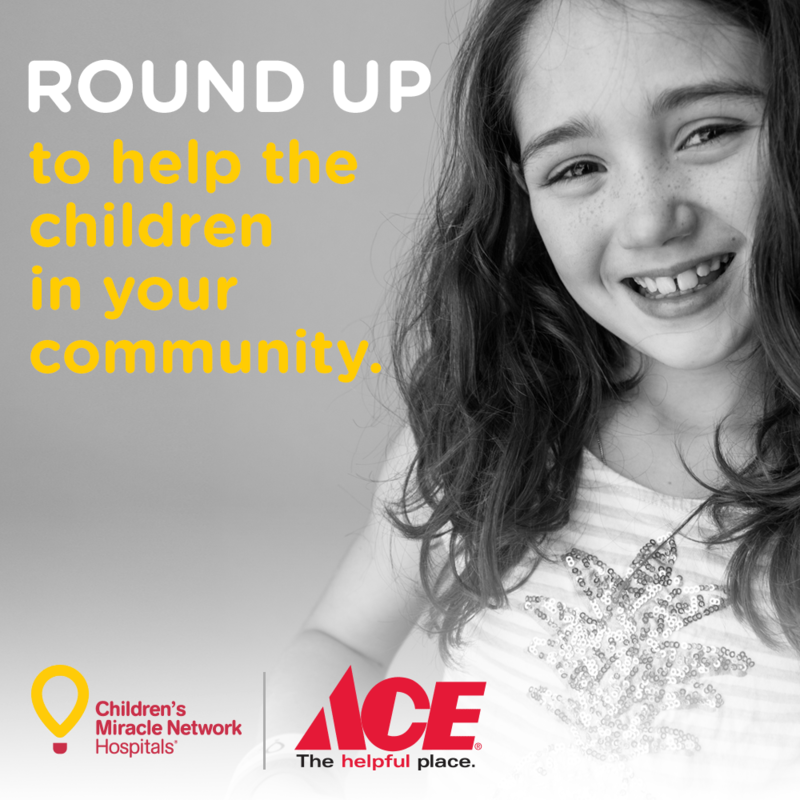 You can “Round Up” at participating Ace Hardware locations through April 30.